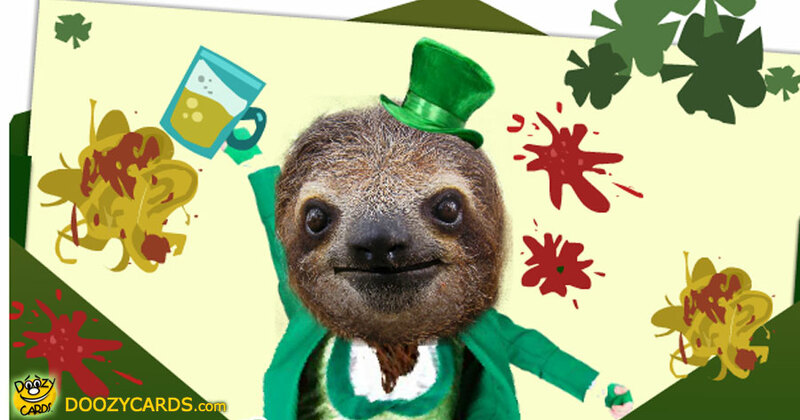 Is it just us, or has this singing leprechaun sloth had a little too much beer this Saint Patrick's Day? Send St Patrick's Day greetings to your friends and family this St. Patty's Day and they're sure to laugh at the leprechaun sloths entertaining song. Accompanied by a bouncy jig, Seamus the leprechaun sings his silly song, while someone throws food our sloth drunkenly attempts to dodge. You'll certainly want to sing along with this cutie, so don't fret! Follow the jumping shamrock to sing the lyrics to this fun, nonsense song. 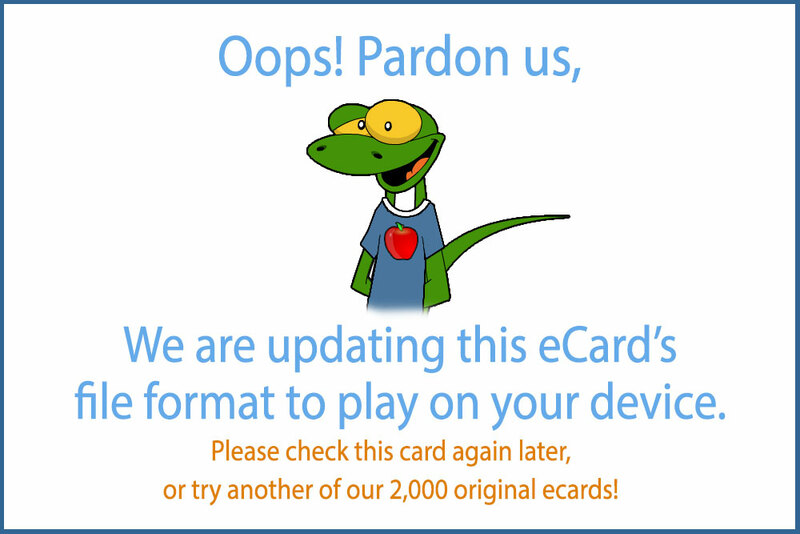 Don't listen to Seamus though, this amusing Happy St Patrick's Day card is anything but traditional. It is a whole lot of fun though!